Walk With Sally hosted our first Heart to Home program of 2017. We host one art healing program per quarter to give our friendships safe avenues for self-expression. The program aims to increase coping skills and address the impact of cancer on the friendships. Through creative activities as well as connecting and sharing amongst the group, mentees will gain access to additional support in dealing with painful circumstances. The goal is to reduce stress, build resilience and increase self confidence. 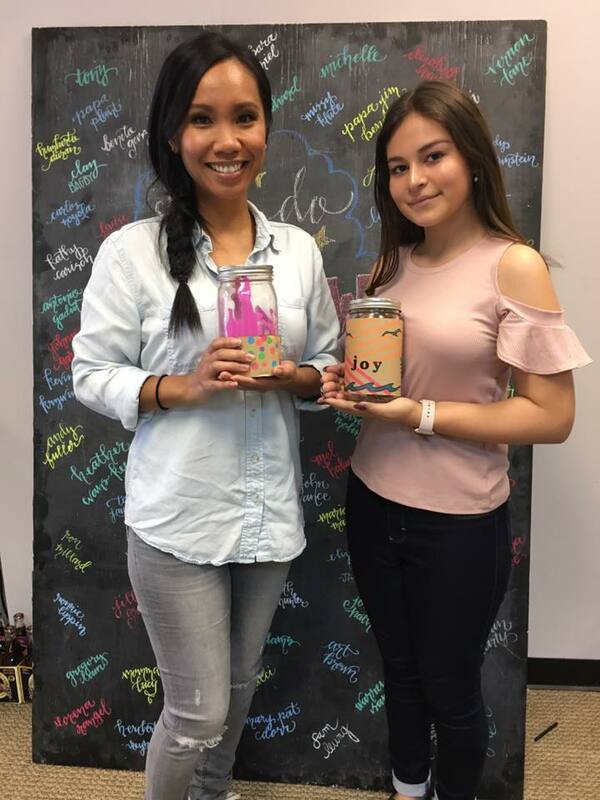 On March 25th 2017, ten attendees (5 matches) participated in a breathing meditation and the creation of gratitude jars. We want our matches to remember that even during difficult times there are always things to be grateful for. The Heart to Home program would not be possible with out a grant from the Murad Family Foundation and the leadership of Drica Lobo our art healing facilitator. This entry was posted in Heart to Home and tagged art healing, cancer, coping skills, friendships, walk with sally.